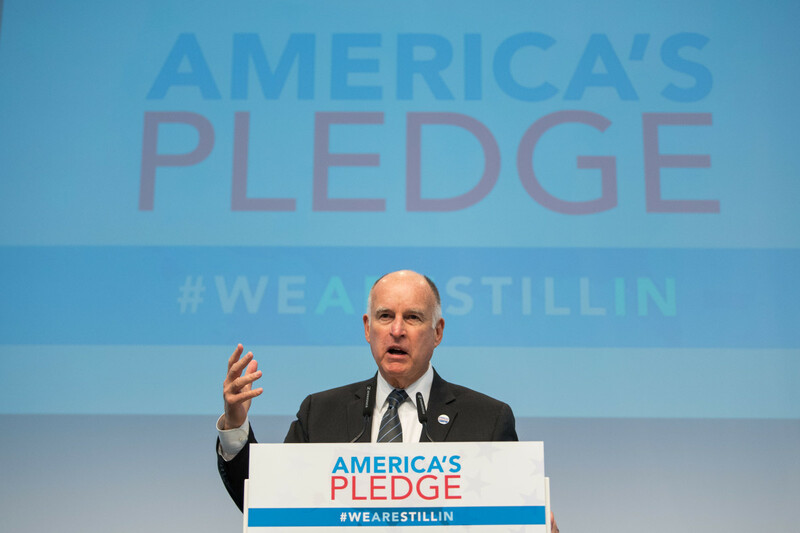 California Governor Jerry Brown talks during a discussion at the America&apos;s Pledge launch event. 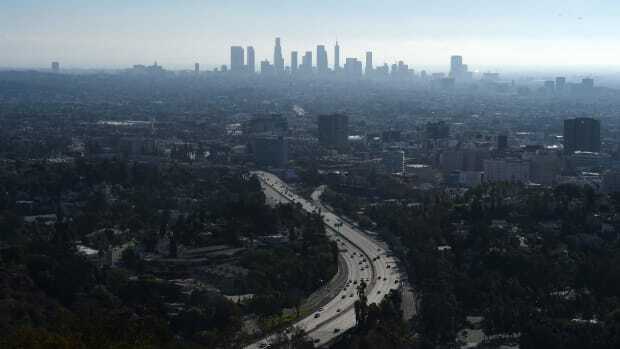 He also issued an executive order that goes even further: It commits California to "achieve carbon neutrality" across the board and not just for power generation by 2045. Together, these steps codify California&apos;s ongoing transition away from relying on fossil fuels for energy. 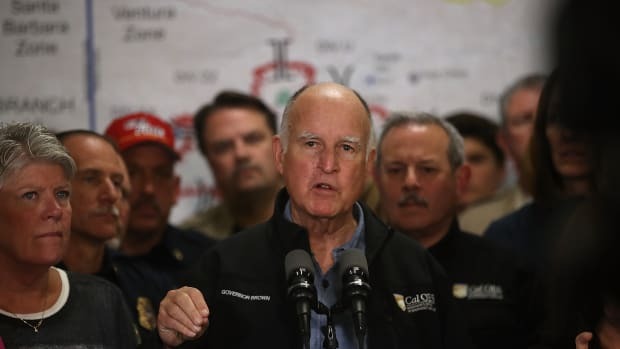 This effort has been ramping up since 2011, when Brown signed another law committing the state to deriving a third of its energy from renewable sources like wind and solar power by 2020—not including big hydroelectric dams. Based on more than 30 years of research related to solar energy, by my assessment, California can meet the law&apos;s ambitious goal as long as it continues to implement programs that encourage the rapid expansion of renewable energy in the state. To take the next step, rather than mandating that all power be renewably sourced, state lawmakers established a 100 percent "zero-carbon" goal. 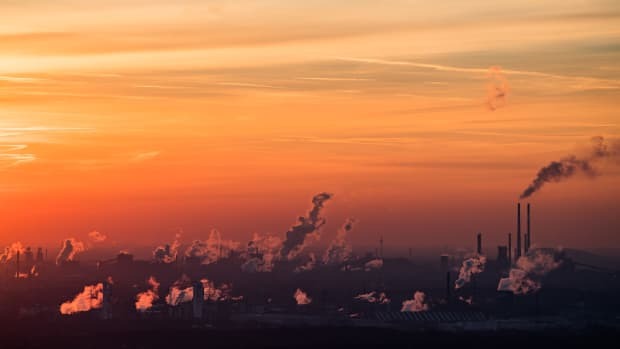 They did not define this term, but it is understood as including wind and solar power, big hydropower plants, and other sources of electricity that do not generate carbon dioxide. Being open to a wide range of technologies makes meeting the 2045 target easier and allowed State Senator Kevin de Leon, the original bill&apos;s author, to amass broad support for the bill. About 56 percent of the power California generated in 2017 came from sources that don&apos;t emit carbon. That puts it more than halfway toward this new goal by 2045. However, the Diablo Canyon plant, California&apos;s last nuclear power station, is slated for decommissioning by 2025, and no other reactors are in the works. This closure would eliminate the 8.7 percent of the state&apos;s carbon-free power that came from nuclear energy. Nearly all of the remaining 44 percent of the state&apos;s electricity is currently generated by burning natural gas, and virtually none comes from coal. Going completely zero-carbon would require phasing out the state&apos;s natural gas power plants. On top of wind and solar energy, other generation options include geothermal, small nuclear reactors, and carbon dioxide sequestration. One quirk about this legislation is that it deals only with utility-scale power. It would not preclude private electricity-generation facilities such as the diesel generator a farmer might use to pump water. 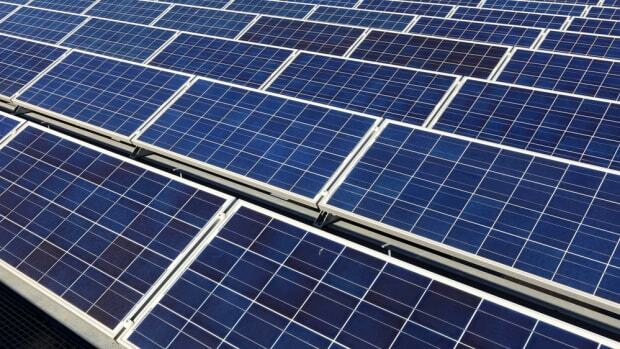 Nor would it count the power generated by a homeowner&apos;s rooftop solar panels. One complication is that the state&apos;s mix of energy sources can vary a great deal, even from one hour to the next. Consider what happened on April 8th, 2018, for example. It was a generally sunny and windy Sunday, with relatively low electricity demand. At night, about 40 percent of electricity was generated from renewable sources. 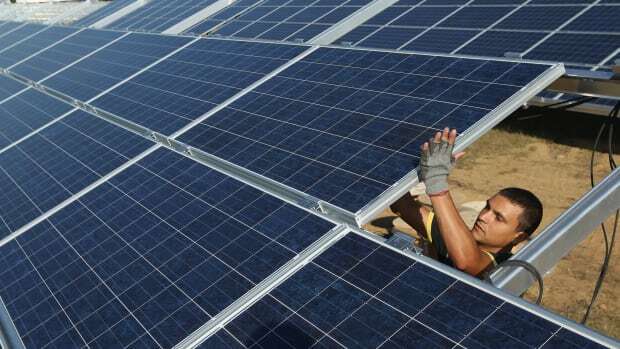 But around noon that day, more than 80 percent came from renewable sources including large-scale hydropower. On July 24th and July 25th, 2018, Californians were asked to voluntarily use less electricity between 5 p.m. and 9 p.m. to avoid an outage because of hot weather. Prices spiked by more than a factor of 10, helping to keep demand within the supply. The University of California–Merced and many other wholesale electricity customers are saving money by using thermal storage. They chill water when rates are low and use the chilled water for air conditioning when electricity prices are high. 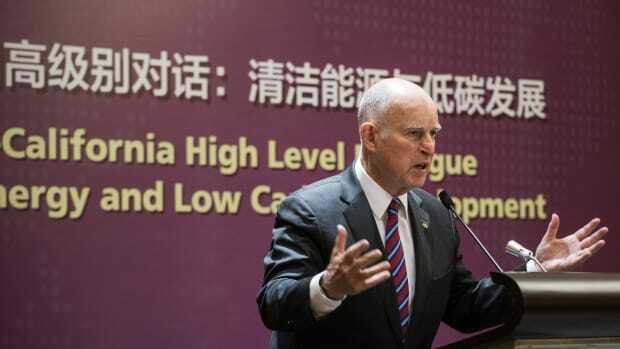 Because California&apos;s new law does not require that every watt be generated within California&apos;s borders, utilities could keep buying electricity from nearby states, as long as they verify its origins are in keeping with the new law&apos;s requirements. And because the law does not define "zero-carbon," it provides flexibility in how the state can meet this new target. These credits arise through several kinds of arrangements. Perhaps the most common is through rooftop solar systems. Small-scale solar energy supplied about 5 percent of California&apos;s electricity in 2017. It is likely to grow because of California&apos;s mandate for solar panels on most new homes, starting in 2020. In assessing whether the goal of going zero-carbon by 2045 is realistic or not, it is worth considering that solar energy has grown for years at a pace that far exceeded projections thanks to technological progress, government policies like California&apos;s new law, market forces, and the public&apos;s demand for renewable energy. This article was originally published on The Conversation. Read the original article. Sarah Kurtz is a professor of materials science and engineering at the University of California–Merced. A panic over renewable energy and billions in subsidies turned the world’s biggest carbon emitter into the world’s largest solar panel maker nearly overnight—but that doesn't mean those panels were put to use.